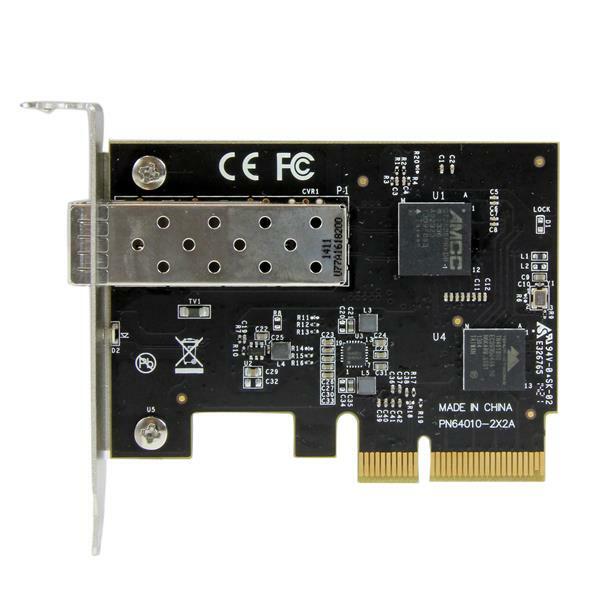 The PEX10000SFP 10 Gigabit Fiber Network Card is a cost-effective solution that delivers fast and reliable 10 Gbps network access at longer distances than copper-based networks. Using the SFP+ transceiver of your choice, you can connect your PCI Express-based server or workstation directly to your 10G fiber optic network. With the rising strain on network resources due to large file transfers, multimedia content, and an increase in network users, more bandwidth is often required at various levels of your networking infrastructure. With up to 10 Gbps bandwidth, this fiber NIC lets you transfer more data at faster speeds, and is an ideal low-cost addition to your server or high-powered workstation. The PEX10000SFP adapts to your network fiber connection and distance requirements to offer flexible configuration via an open SFP+ slot, and is compatible with most . 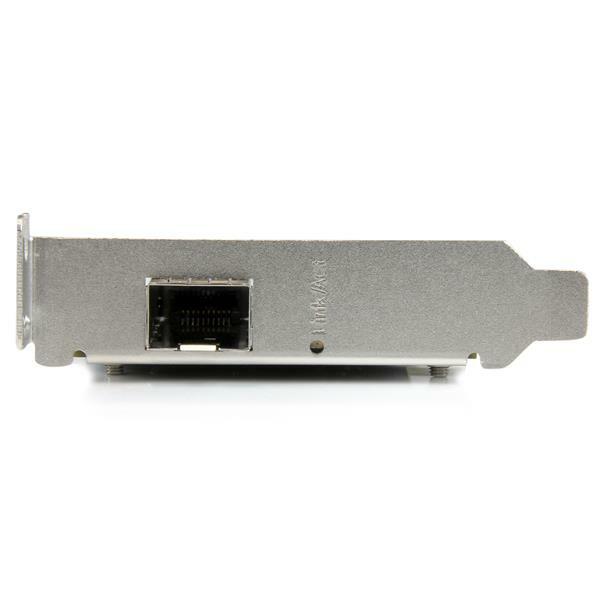 With broad SFP+ compatibility this cost-effective fiber card lets you use your preferred SFP+ module, giving you more options to connect your computer directly to a fiber network at greater distances. For improved operating efficiency, the PEX10000SFP features an energy-efficient Tehuti TN4010 chipset that offers significantly reduced power consumption versus most comparable cards, including the Intel® 82599 chipset cards. Superior power efficiency also helps minimize heat generated by the card, in turn avoiding an increase in the operating temperature within your server case. 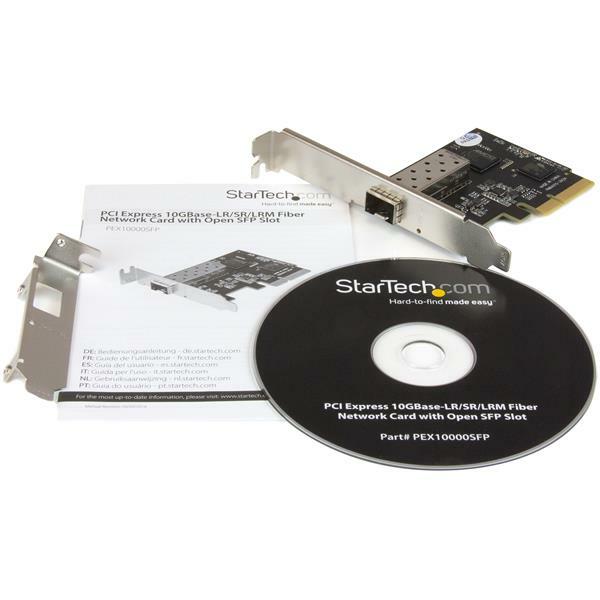 This versatile 10 Gbps network card offers 16K Jumbo Frame and 802.1q VLAN tagging support, as well as compatibility with VMWare® ESXi, Microsoft Hyper-V® virtualization software, and iSCSI support to combine LAN and SAN functions.